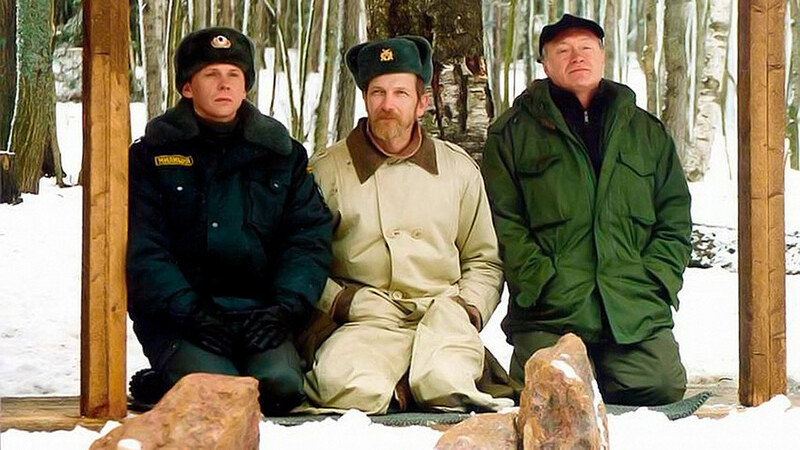 A Russian can experience all four seasons in a single day. While maybe grumpy and pessimistic at work, in the evening he/she can have boisterous fun with friends. Or a hopeless couch potato suddenly turns into a determined champion when it’s time to play his favorite sport. Russian folk hero Ilya Muromets was lame for the first 33 years of his life and spent this time on top of his stove. He was healed by visiting wise men who inspired him to go and serve Prince Vladimir. It’s no coincidence that this myth has deep meaning for Russians. Nothing can motivate a lazy Russian when there’s no pressing matter to attend to. Even the profit motive can’t inspire him/her, because peace of mind is more valued than money. However, if a Russian’s family, relatives or loved ones are at stake, then nothing can stop him from working hard. The same is true about national and personal honor. “Measure seven times, cut once” is a proverb every Russian learns in childhood. Throughout its history, Russia has lived through persistent times of scarcity, so frugality has always been a virtue. Also, there are unwritten rules for just about everything, from making pickled cabbage to assembling a computer. In Soviet times, Russians loved to joke that they lived “in a country of advice,” (the word soviet also means “advice” in Russian), so don’t be surprised if someone will critique everything you’re doing. These are the reasons why Russians are often quite indecisive. On the other hand, when it seems that all options have been exhausted and one has “nothing to lose,” then he turns on his berserk mode and does things his way, ignoring all rational advice and warnings. Sometimes it’s the winning strategy! Sometimes. A grim outlook on life has always been a given for Russians, and it’s rooted deep in the nation’s psyche, partly due to Orthodox Christian values that preach humility as the foremost virtue. In times of hardship and adversity, Russians didn’t blame Heaven, but on the contrary they perceived hard times as a test from God, and were always ready to accept the challenge. In the 20th century, Russians had few good years, so the pessimistic outlook has proven true. On the other hand, however, a Russian knows how to enjoy life. When out to have fun, nothing can stop him/her. Probably because the country is so large, Russia has always put great value on order. Russians face many rules at home, at school and on public transportation, as well as the unwritten rules of respect for the elderly, and so on. In Soviet times, free self-expression was not welcomed, but going along with the ‘herd’ was encouraged, while sticking one’s neck out was discouraged. So, Russians are used to order and like to preserve it. As an indication of this, the per capita number of civil servants and policemen in the country are among the highest in the world. Order is not merely imposed by the powers-that-be, however. At home, most Russians are also very concerned with order. Almost every family has an uncle or granddad with “hands of gold,” and who can fix or build almost anything, ranging from a meat grinder to a car engine. Also, nearly every wife, mother or grandma considers it a matter of personal honor to keep her apartment perfectly clean. These same orderly people, however, can be very passionate about things that mean much to them. Your meticulous and easy-going grandpa might suddenly go crazy with fury when his soccer team loses, and your caring mom can have sleepless nights because of the hardships faced by the characters in her favorite soap opera… Even young military students can switch from order to provocative dancing in their free time. An extreme life of order can sometimes push Russians to really go wild when the opportunity presents itself. That Russians don’t smile much is well known, and we already gave a full explanation. Being reserved is a sign of dignity, and it comes from the feeling of order that every Russian feels obliged to maintain. That restrained character, however, hides a big heart, and you can experience deep conversations if you get to know a Russian just a little bit better. Naturally, a Russian doesn’t quite understand what should be so secret about his private life. Everyone goes through roughly the same hard times, so he thinks. He doesn’t consider it a big deal to tell you his problems, hopes and expectations, especially after a bottle of wine in his kitchen. The amount of private information he might volunteer can startle a foreigner, but Russians love to get together and mull over the same problems again and again with the same people. It’s almost a form of national self-therapy. After two or three hours of whining, men and women alike feel better, and then resume their daily grind - until the next heartfelt talk.